CHAMPAIGN, Ill. U.S. – Dr. David Lonsdale of Hampshire, United Kingdom is this year’s recipient of the International Society of Arboriculture’s (ISA) R.W Harris Author’s Citation Award. This Award of Distinction is given to authors who consistently publish timely and valuable content related to the field of arboriculture. Click here for a video on Dr. David Lonsdale. Lonsdale is a plant pathologist and arboriculture consultant who specializes in tree decay research and tree hazard assessment and management. He has focused on the assessment of tree hazards and risk on behalf of public and private landowners for more than 30 years. Along with writing numerous scientific papers on tree disorders, diseases, conservation, and safety issues, Lonsdale has edited other textbooks, including the English language edition of The Body Language of Trees by Claus Mattheck and Helge Breloer. A key member of the committee that has updated the British Standards for practice in arboriculture, Lonsdale served on drafting panels for the two of the standards. He even received acknowledgment in the foreword of one of those Standards. “Standards are usually anonymous so I was very pleased to receive this recognition,” he remembers. ISA honored Lonsdale at a ceremony last month in Fort Worth, Texas as part of the 92nd Annual ISA International Conference and Trade Show. He is a fellow of ISA’s associate organization, The Arboricultural Association, and will be formally presented with the award during the annual meeting in the United Kingdom in September. ISA, with more than 30,000 members and credential holders making up the organization worldwide, has been honoring members and industry professionals with the Awards of Distinction since 1963. Nine categories recognize candidates in such areas as research, publishing, education, and advancing the cause of the organization. The winners are selected by a diverse group of experts in arboriculture. 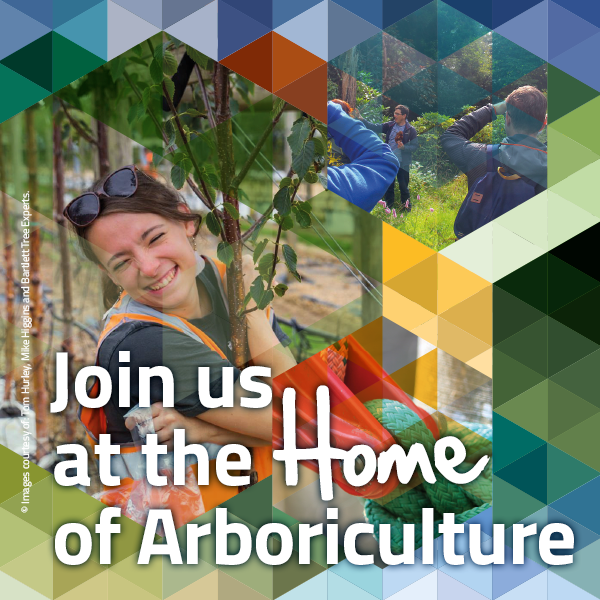 International Society of Arboriculture (ISA), headquartered in Champaign, Ill., is a nonprofit organization supporting tree care research and education around the world. To promote the importance of arboriculture, ISA manages the consumer education web site, www.treesaregood.org, which fulfills the association’s mission to help educate the public about the importance and value of proper tree care. Also, as part of ISA’s dedication to the care and preservation of shade and ornamental trees, it offers the only internationally-recognized certification program in the industry. For more information on ISA and Certified Arborists, visit www.isa-arbor.com.